The Barossa is a fantastic place to visit year-round, with each season having its own perks. Summer is the time of lush green canopies in the vineyard, in stark contrast to the golden paddocks of grain being harvested. The long arms of each vine leaning out to support each other and protect the growing berries and the gold that lies within them – that is the juice that we turn into wine. It gets quite a bit warmer during the day, and we begin to enjoy evenings outside: dining, wine tasting, chatting, socialising. 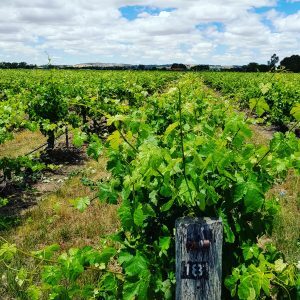 If you are planning a visit to the Barossa this Summer, we’ve put together some information that might be handy and some insider tips and thoughts on what to see and do while you’re here enjoying the area – live like a local for a few days. What is your favourite place to visit within the Barossa, during Summer? Undoubtedly it is sitting out on the patio of Vintners Bar & Grill and enjoying some great food with mates. You love to bike ride – where would you ride during a Summer visit to the Barossa? A great ride is the Angaston to Gawler bike trail that all up is around 45km one way. It goes past all the great wineries including Elderton. If you are up for more adventure there is some incredible technical single trails for mountain bikers up in Pewsey Vale. It is quite hidden and you need to be shown by a local where to go. If you had friends or family visiting during Summer, where is the one spot in the Barossa you would take them? Somewhere a little different is Kaiser Stuhl National Park, which is the higher regions of the Barossa. There is some great bushwalking up there. You are also guaranteed to see wild kangaroos among some of the other wildlife. The weather is heating up, and we have sunshine and warm/hot days! Pleasant evenings are also ideal for outdoor dining. While average day temperatures are 26-29 Celsius, January and February generally bring more frequent hot days with temperatures of 30-36+ Celcius. In late February the community celebrates the Declaration of Vintage, by the Barons of the Barossa. This has some great traditions, with a street procession including the Barons dressed in their ceremonial attire and is very interesting to see. We were proud that our Winemaker, Richard Langford, was named the 2018 Barossa Winemaker of the Year at the celebration in February 2018 – it is a great community occasion to celebrate our great winemakers and grapegrowers. Check out some photos from one of our local papers – The Barossa Herald. My husband and I were married on the deck overlooking the most brilliant blue dam at Maggie Beer’s Farm Shop. More recently, Maggie’s daughter Elli opened The Eatery, at the same site, which serves deliciously simple, fresh, in-season dishes. The Farm Shop is still one of my favourite places to visit both for lunch or even just coffee for me and ice-cream for the kids… did I say coffee? The coffee is great but the gin (which Elli’s husband Brett produces) would be more truthful! Any favourites for kids during the summer holidays? The Discovery Holiday Park in Tanunda recently installed a splash park which I think makes it the ideal place to stay in Summer as a family. We also make use of the local bike tracks in the cool of the mornings and for a little shopping Kids Unite in Angaston has fantastic educational toys which include games that the whole family can enjoy. Just one? Tough choice… I’d take them to the Barossa Farmers Market on a Saturday morning. Fill the bags with local produce and spend the rest of the day preparing a long leisurely meal with a glass of Barossa wine in hand…we are blessed in the Barossa to have access to fantastic artisan food and wine producers and I love entertaining, Barossa style! BUT… If I wasn’t in the mood for cooking I’d head to Vintners Bar & Grill for lunch or dinner with a BYO bottle or two selected from one of our many great Barossa wineries visited during the day. As always, we welcome you to our Cellar Door. Our garden is perfect for relaxing, with a local produce platter and a glass of wine, or simply a place to rest with a coffee. A bottle of crisp Eden Valley Riesling and a platter are perfect on the verandah – sit back and look over the 1894 Command Vineyard. 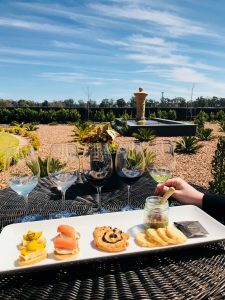 Or enjoy a Food and Wine Flight, as pictured below – a selection of five iconic Elderton wines, each served with a canapé made from locally sourced produce. For upcoming events, check out our Events page for events at our Cellar Door and for events and tastings throughout the Barossa, check out the Event Calendar on Barossa.com. Barossa.com is also a wealth of information to help plan your visit – from accommodation and transport, to dining and suggested itineraries. 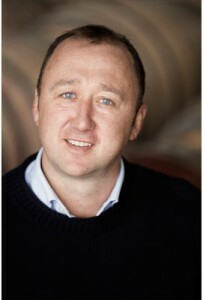 Check out http://www.barossa.com/visit. When you are here, the Barossa Visitor Information Centre in the main street of Tanunda is also a great place to start for information. 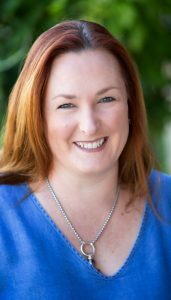 And if you’re one of our Elderton Commanders, then contact Jodhi in Cellar Door to access our concierge service, to help plan the perfect Barossa summer getaway. Wishing you and your family a happy and safe festive season!